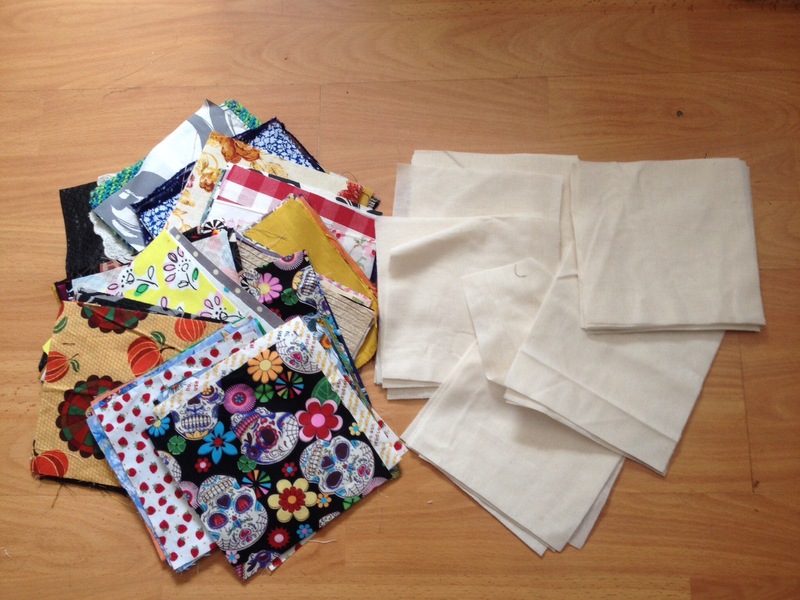 On the run up to our wedding last June, MrA came up with a fantastic idea… Ask all our guests to bring a square of fabric, 15cm X 15cm, and ‘we’ can make a quilt out of them! I loved the idea. 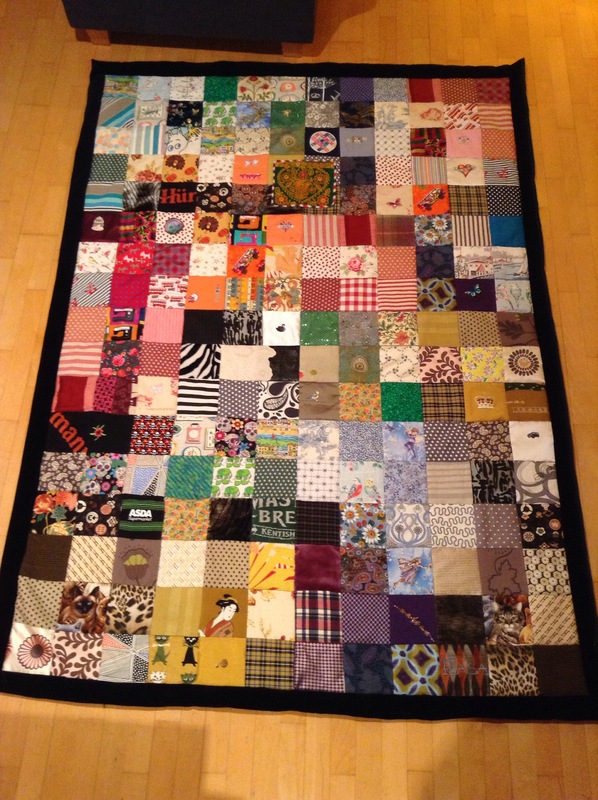 However, having never made a quilt, this led to much YouTubing and scouring of the internet. This Professor Pincushion tutorial Is a bit long winded but along with all the other hours of YouTubing and blog reading it helped me get my head around the idea. I will never forget the night after our wedding night, in our hotel dressing gowns & slippers, on our private balcony at the adorable Bath Lodge Castle (on a stopover on our way to st Ives on what turned out to be the 1st of our three, yes, THREE! Honeymoons… mini-moon, midi-moon and maxi-moon!) drinking champagne, reading all of our wedding cards and opening all of our fabrics. 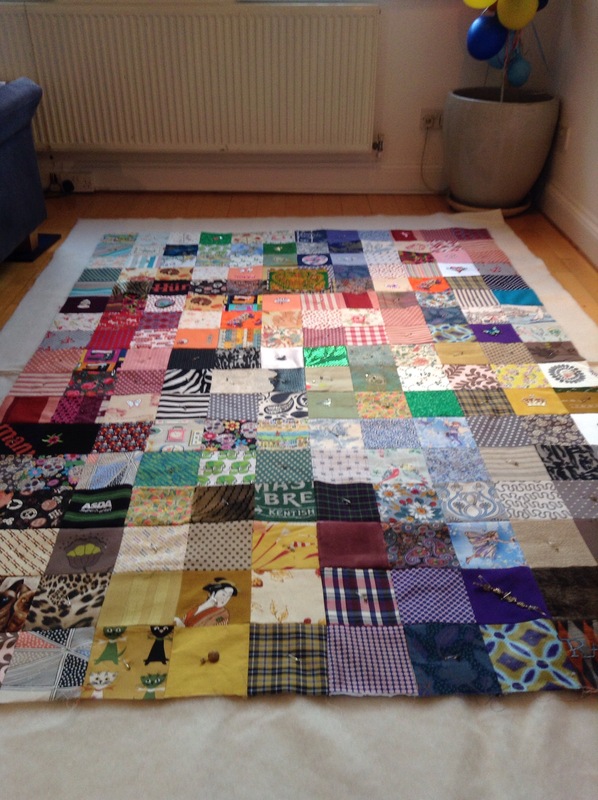 Many people gave us more than a 15x15cm square, up to a full metre from some! 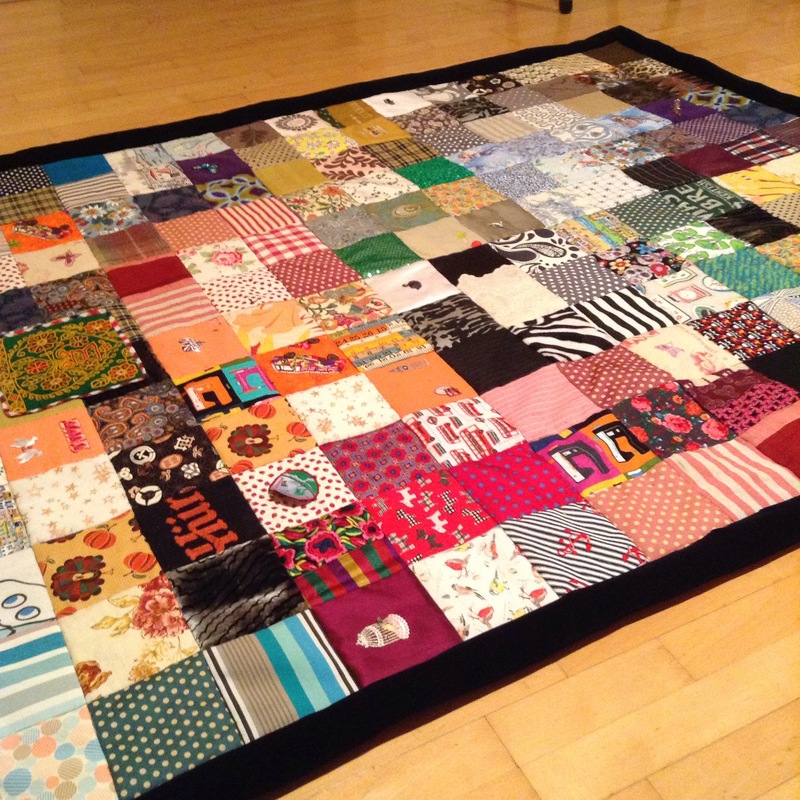 As well as imagining how amazing our quilt would be, my eyes were popping out at the thought of what I could do with all the leftovers! 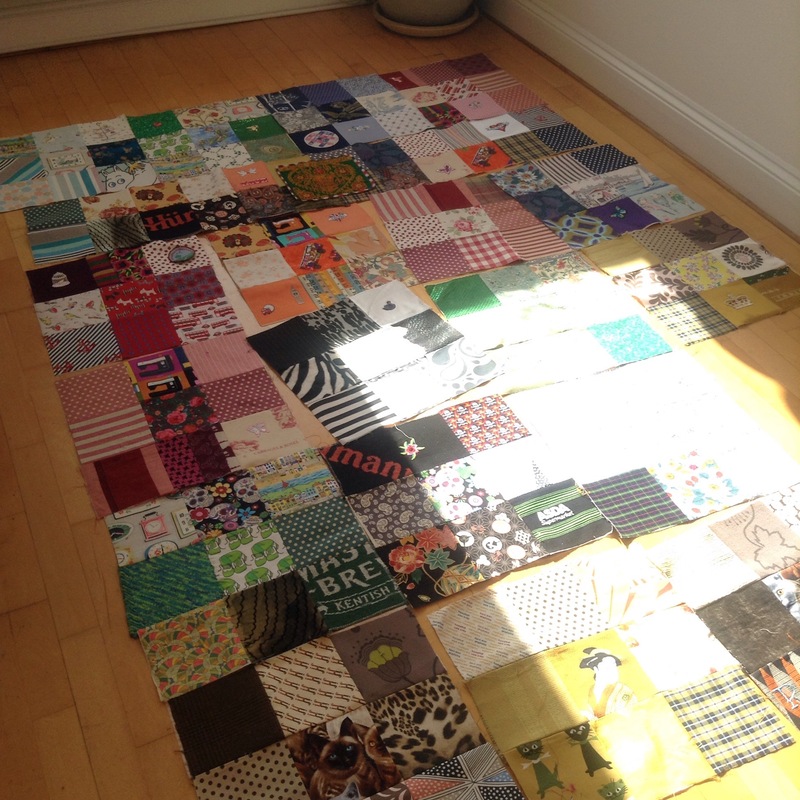 The quilt itself seemed pretty daunting, but we broke it down into more manageable sessions. The really nice thing was how much we actually did do together, all of it! Most people, including myself, assumed it would be a one man job, but MrA was with me every step of the way, boosting morale as well as being really hands-on. First big sewing day we had to get all the pieces the same size. THIS square ruler really helped! On some of the larger pieces we could get more than one square from different pieces of pattern or direction. 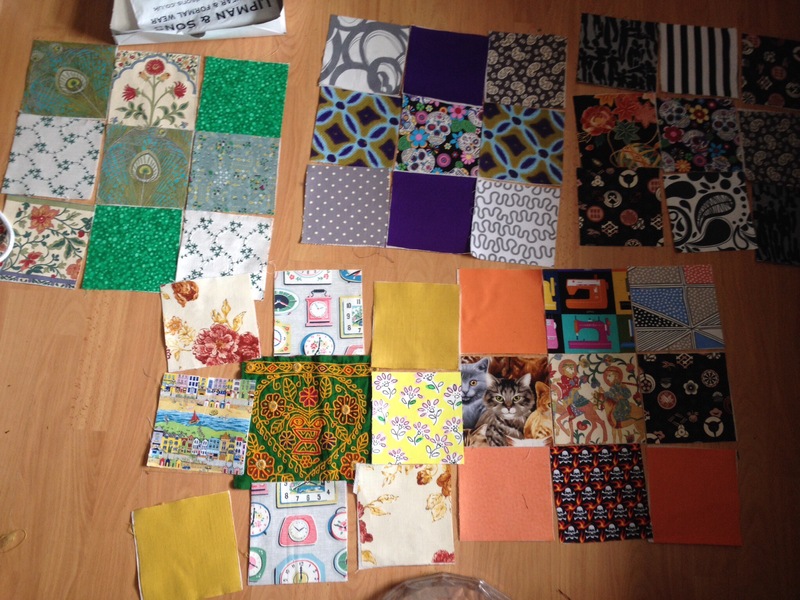 Once we’d chosen them I cut all the squares, then cut fusible interfacing squares as well. 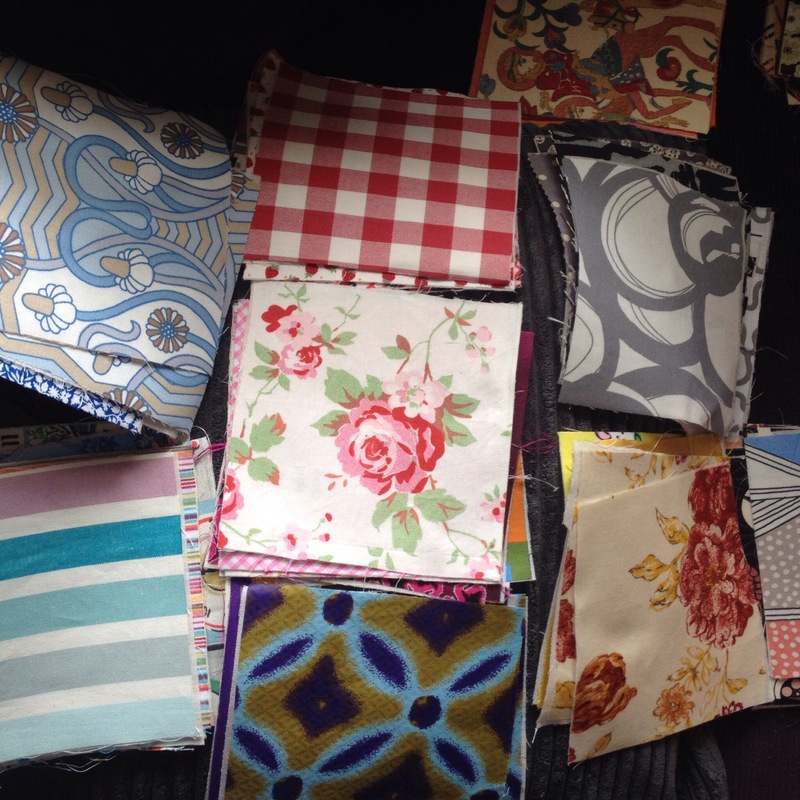 We had so many different types of fabric, I decided to interface them all except for the very thick & sturdy ones. I used a very light iron-on that I’d picked up in Shepherds Bush Market. Mainly, this minimised stretch on the knit fabrics and stopped the slippy ones from misbehaving. While I sliced away with the rotary cutter, MrA was busy fusing at the ironing board. By the end of the day we had 204 squares of fabric, interfaced, overlocked where necessary, divided into colour groups, bagged & tagged! The next time we worked on it, MrA did most of the work. 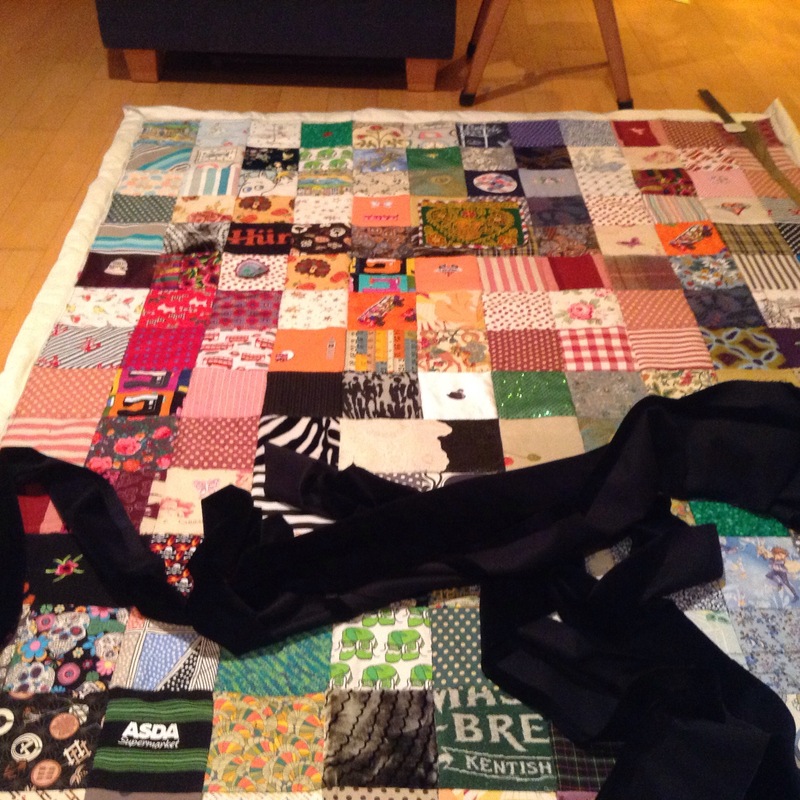 Keeping to the general colour theme, and with a keen eye, he laid out blocks of 9 squares which I then sewed together. We shared ironing the seam allowances open. Now, in our tiny 1 bedroom flat there was no way we could lay out the whole thing to get a good look at it. It was on the floor, over the sofa, coffee table, armchair… It was like Weaveworld! (if anyone other than me is old enough to have read it!) So we packed all the blocks away and waited. In March, we had some time off together so we picked up our quilt pieces & went down the road to our cousins much larger apartment. Over the next two days, the three of us; myself, MrA & Cousin (also a MrA… In fact we are all A’s… The A team!) worked together to construct the quilt. I didn’t take my machine with me, so while the A’s laid out the pieces in different configurations, I tinkered with cleaning, oiling and fixing the tension on their old Cresta Deluxe. I had a bit of extra work as you can see near the centre top, there is an oversize piece. It has a heart on it and we didn’t want to cut it up. So I bound the edges with bias strips made from an old shirt and top stitched it onto another strip of squares 2×12. So the thing I really learnt about making blankets is that they start off small and do-able, but, of course, end up massive! Sewing the blocks of 9 squares together started easy but every time it came to the machine it seemed to have doubled in size! Once all the pieces were together & pressed, we laid it down on the wadding/ backing and the three of us safety pinned it together. A big delay in the making was my inexperience in fabric choice and finding a suitable backing & wadding. MrA had previously picked up quite a large cut of Hermes silk woven fabric in a beautiful design (for a steal!) which we were both determined to use for the backing. Lots of people tried to talk us out of this. They eventually succeeded! The Hermes silk would be much better suited to making a Jackie O style outfit for the mayors wife and wasted on the back of a blanket with such a story going on at the front. Eventually, on a family visit to Canterbury, in Dunelm Mill, we found a light wadding already fused with a poly cotton backing. One less layer to worry about. Perfect. (I can’t find it now on their website, maybe they’ve run out) The lady there was lovely. I don’t remember her name, but she was really helpful, obviously a keen and accomplished sewer and she gave me the very useful tip of working from the centre outwards, changing directions to even out any pulling. Then came the bit I’d been dreading. Time to sew through the whole thing. This tutorial featuring the elegant ‘Stuff & Fluff’ method had me convinced it was do-able, but I really wished I’d brought my stitch-in-the-ditch-foot! 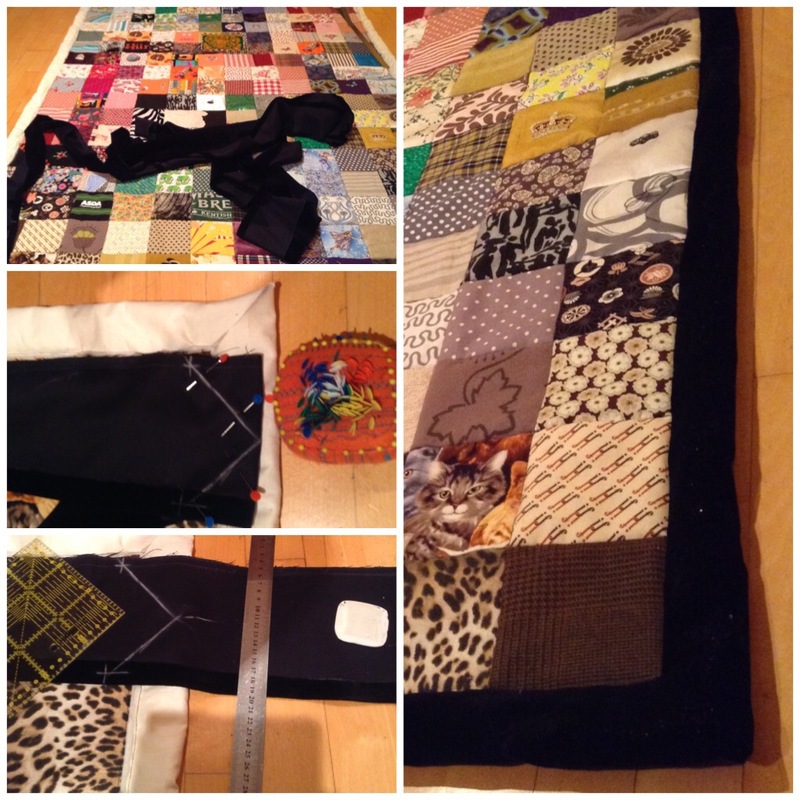 In reality, our quilt was too thick to successfully execute the stuff part of the stuff & fluff method so we doubled up on safety pins and rolled up the left hand side. 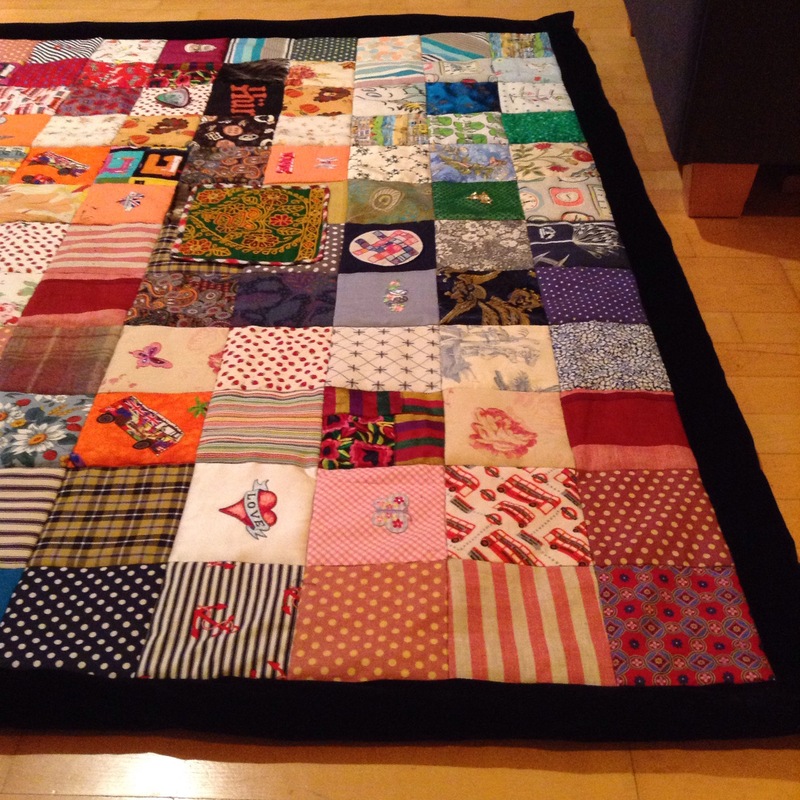 With Cousin A behind me, supporting the quilt over the ironing board and MrA in front gently guiding it out, I sat in the middle at the machine with all my energies focused on ‘the ditch’ and trying to stitch in it! We made pretty light work of it in the end. ‘How many men does it take to make a quilt…? !’ After a long day, we enjoyed a beer, sat back and marvelled at what we’d achieved so far. I slept well that night, in blissful ignorance of how tricky the final hurdle would be. ‘Just the binding to go’ I’d said all breezily! *JUST* Ha! I was up at 8, looking up finishing techniques. I found a lot of tutorials covering mitred corners, but I wanted a border visible on both sides, with mitred corners… I didn’t know what this was called, so it took some time to find what I was looking for. 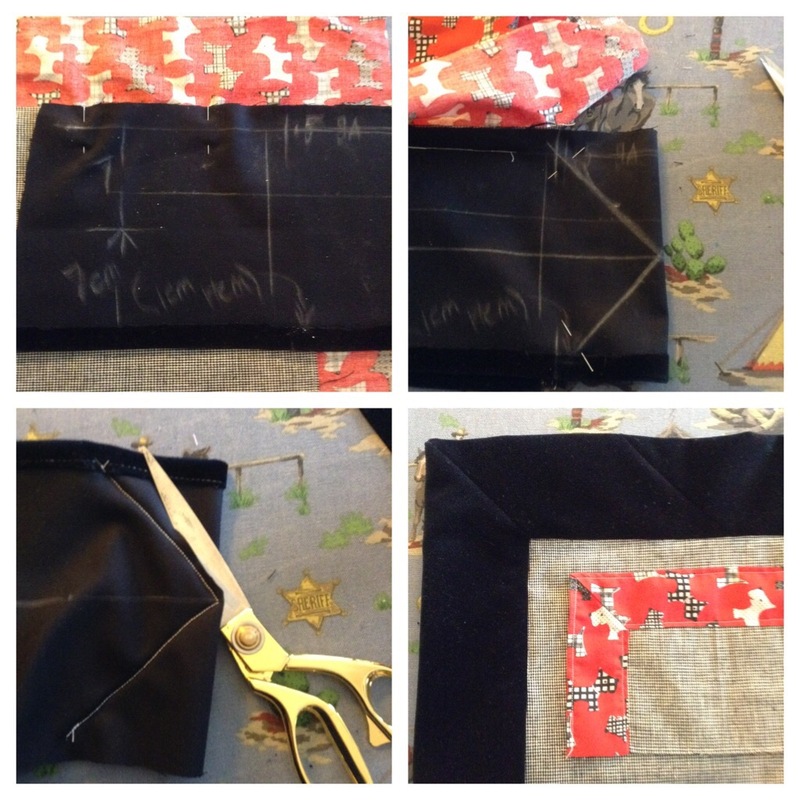 I’d sort-of worked out that I needed to do some kind of right angle sewing to flip the binding, but eventually I found this Mitred binding tutorial From hugsnkisses.typepad.com which explained exactly what I was trying to do. I had a couple of goes at it before MrA got up and was feeling pretty confident by the time we got back to Cousin A’s for day two (day 4 in total). In a eureka moment, I used fusible hemming tape on the underside of the binding. Having the hem firmly creased before turning really helped keep everything neat and in line. When I’m making a shirt I always iron the fold on the under-collar-stand first so it’s neater to pin & easier to catch when stitching from the other side. This is the same principle. When marking the right angles, I kept my chalk sharp and using my handy square I marked from the end of the stitching to the 5mm stitching line on the hemmed side. You can almost see the markings in the photo above. This took some time, but was really satisfying to do, having practised earlier all I had to do was concentrate and get on with it. Every square has history and meaning. Each piece given with love and thought. Made with joy and now, comfortably slept under every night. 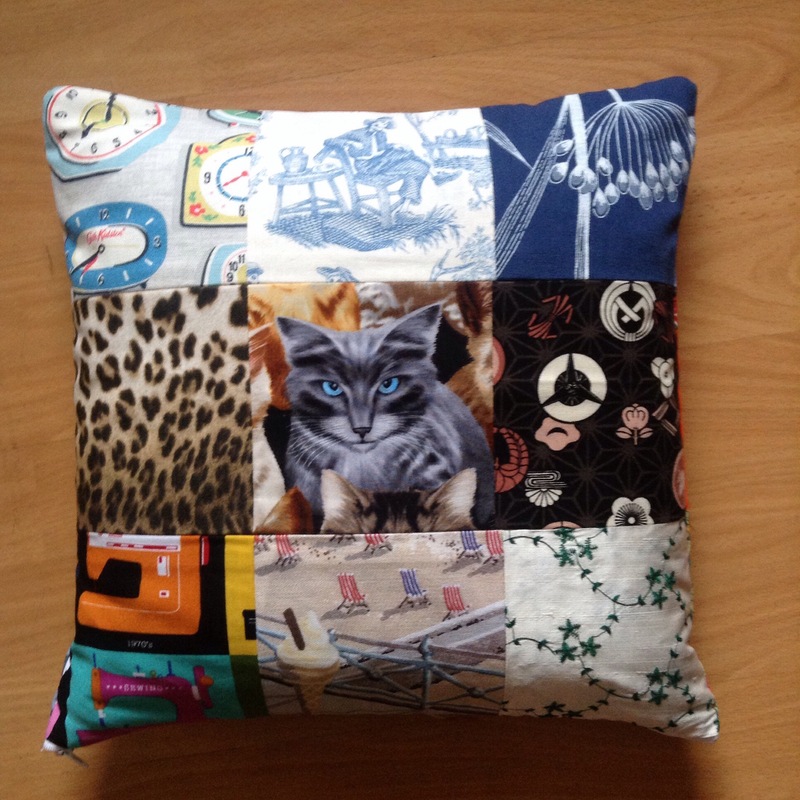 I never thought I’d make a quilt. Although far from a solo effort, I can’t quite believe I have made one! Big thanks to all our wedding guests for helping us to make something we love and means so much to us. ALWAYS research & practise new techniques. Don’t be daunted by the unknown, break it down to de mystify. Quilting is a three-man job! Next Next post: Let’s Get Ready To Ruffle! Haha! You’re welcome! 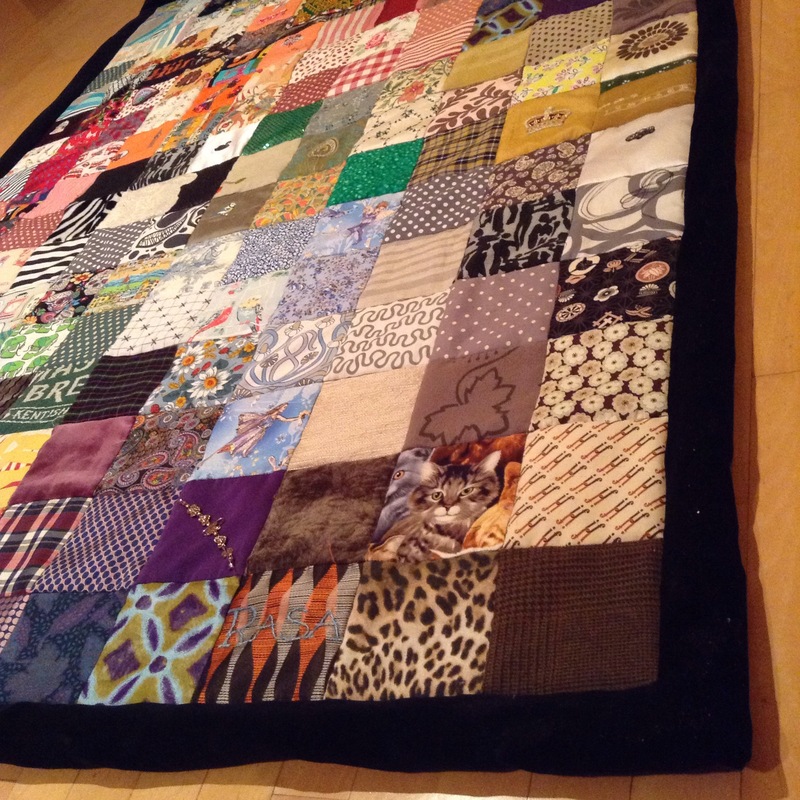 I’ve no idea where he got the idea from… Also, never ever thought I’d make a quilt, but it was so satisfying! I don’t know if I’ll do it again, but I’d recommend it at least once! This is beautiful! Congratulations on such an amazing job! Haha! Thank you! Time for an anniversary holiday I think! 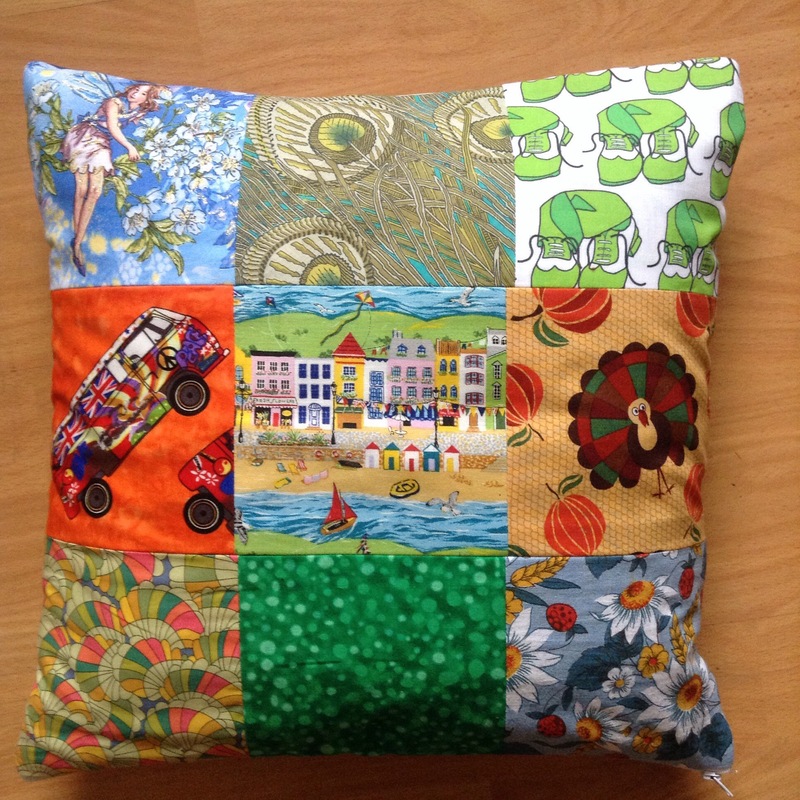 I really enjoyed reading you quilting journey . Great picture too .